These forums are sponsored by the Ernie Ball company, and support both the Ernie Ball and MusicMan products. It is an online community of people that are enthusiastic about the products, with the added benefit of factory support. It is divided into strings, guitars, basses as well as a current events section. If you have a question about your guitar, there is somebody there that can answer questions. Ernie Ball employees monitor the forums, and can help out if you have set-up questions, or want to know when your guitar was built. You can also go there to find guitars and basses for sale, or sell your own guitar. But, the best part of the forum is the sense of community that you will find there. You can see that the Ernie Ball company really cares about your ownership experience. Sterling Ball and his sons regularly participate in forum discussions and can help explain why their guitars and strings are made the way they are, and even help explain company history and marketing ideas. It is rare to find a company where the people in charge are so willing interact with their customers so regularly and openly. They also provide sneak peeks of upcoming products and technologies. These insider views are fascinating for people like me (with the side benefit of generating product interest and sales). Also, there are special events for forum members, most notably being the open houses at the factories in San Luis Obispo and Coachella a few years back. 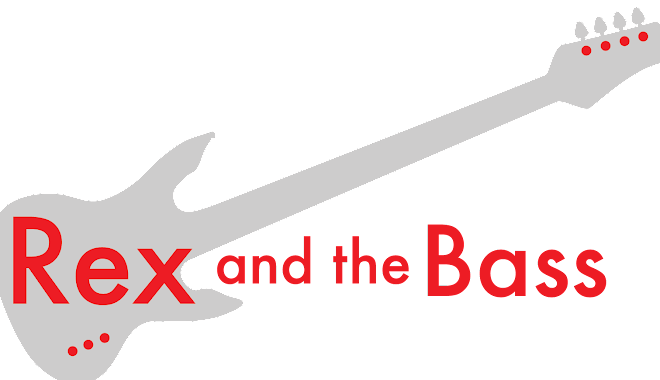 A number of their endorsed artists attend these gatherings and hang out with the unwashed masses, including Tony Levin, Steve Morse, Cliff Hugo and Steve Lukather. There are also smaller gatherings every now and then, which is a good opportunity to bond with like-minded folks. I am happy to say that I have made a few new friends (not even imaginary ones) through these events. Anyway, if you get a chance, head on over to the Ernie Ball forums. You will learn something new about their products, and get the chance to meet some great people. Thank you for your patience during MusicMan month! Next month the blog will be back to the usual variety of instruments, equipment and albums reviews.